Half and Half! that’s it? 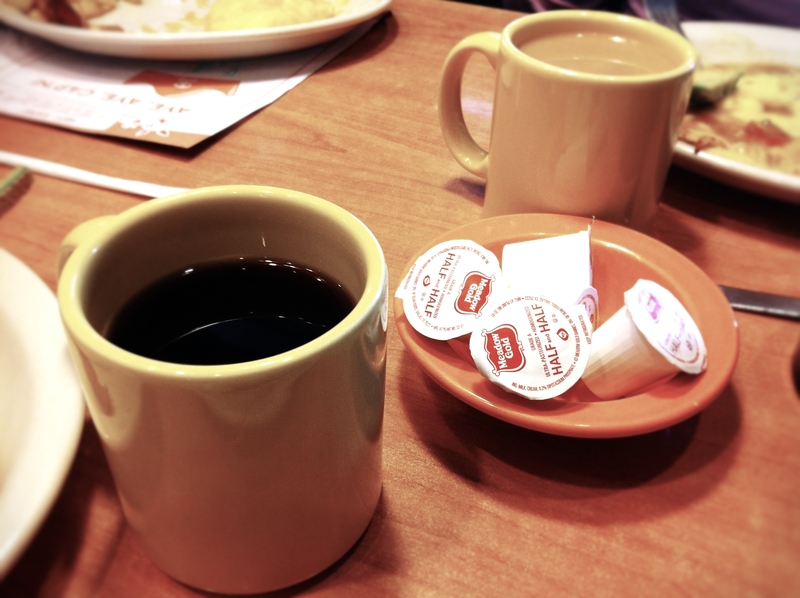 where’s the non-dairy creamer? I love a cup of coffee in the morning. 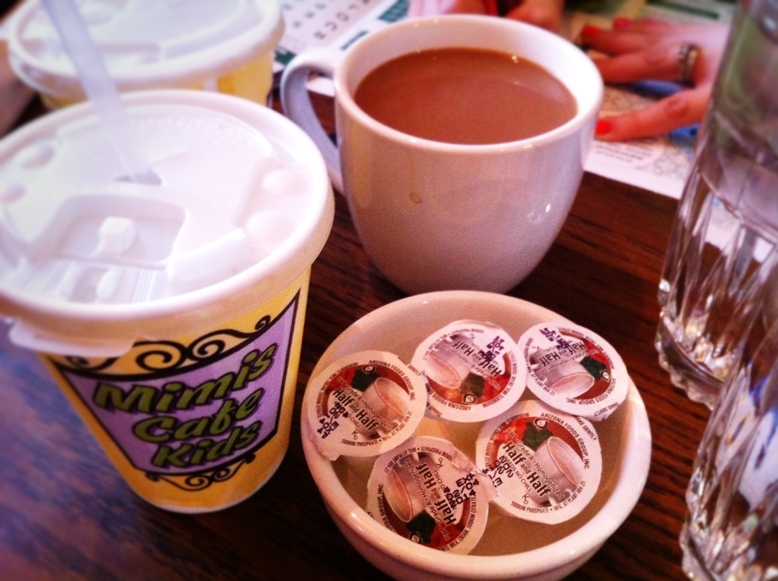 Some of my favorite places to go in the Ogden area are the Oaks, Mimi’s Cafe, and Jeremiah’s. They have good food and good coffee. Most importantly they have non-dairy creamer for people like me which is Lactose intolerance. I wanted to like Einstein Bros Bagel, especially for their hazel nut coffee, hmmmmm. But they don’t have non-dairy creamer, trust me, I asked. I love the spicy egg bagel and their Lox & Bagel. My wife took me into Village inn the other day, guess what? They also don’t have non-dairy creamer for the coffee. I was force to drink my coffee black, yuck! So they also made it on my black list. If I can’t have a good cup of coffee with some non-dairy creamer at breakfast, It’s not a place for me to ever go back for breakfast. It doesn’t matter how good the food is. Come on people, how hard is it to buy some non-dairy flavor creamer! If anything you will get more happy customer to come in. Do you know of any good places for breakfast that have good coffee and non-dairy creamy? please share with us.